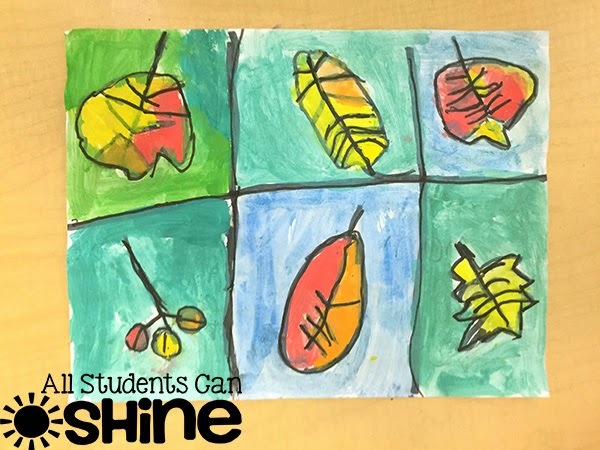 My students worked SO hard on these and they love their masterpieces! First, we made some boxes on our page by drawing lines with our pencils. 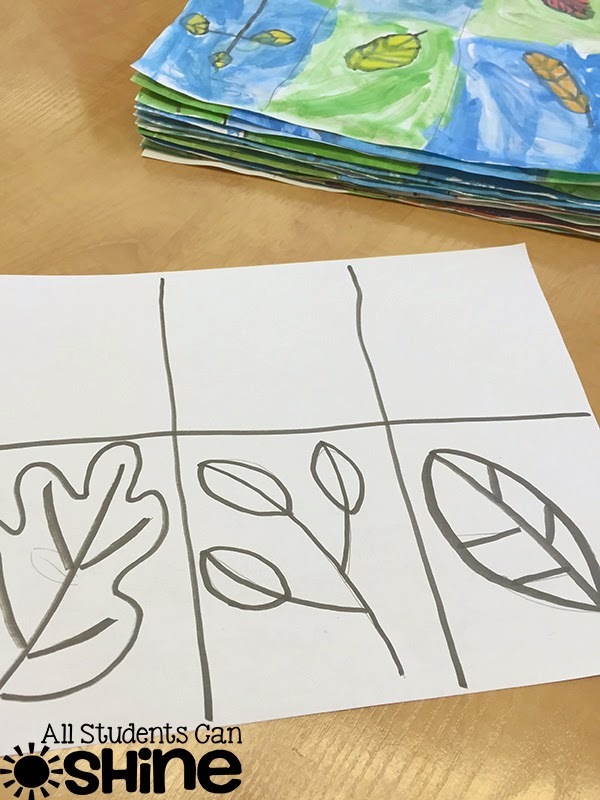 We drew the outlines of our leaves in each box. 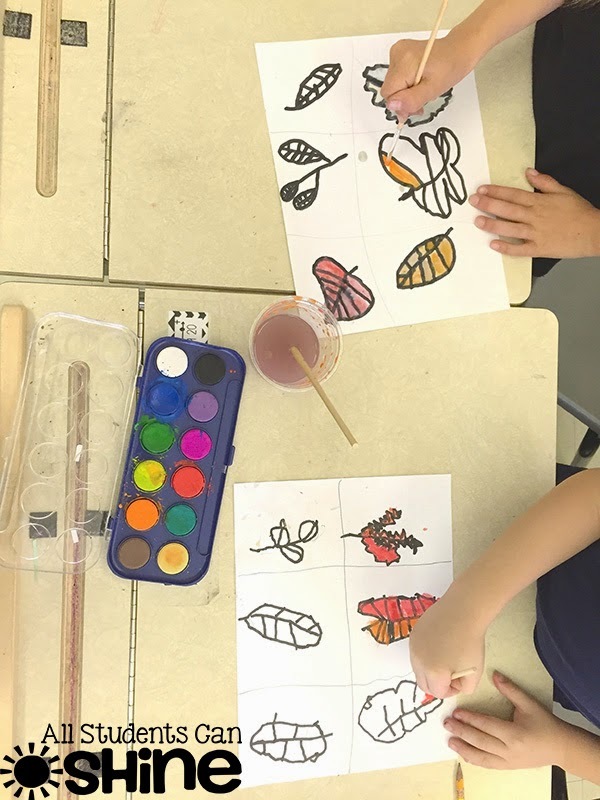 I encouraged them to draw different shapes and sizes in each box. For this, I helped them by displaying leaf pictures on our Smart Board. 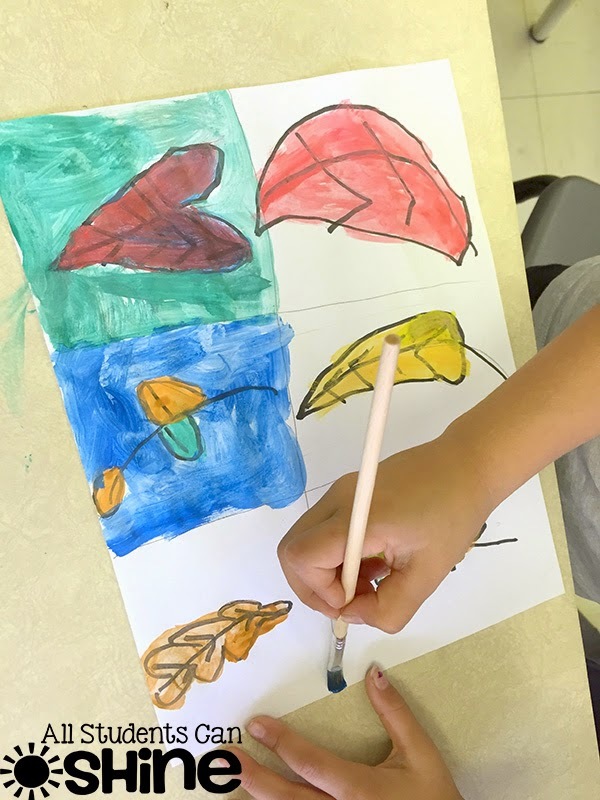 I simply Google imaged "leaves" and scrolled down the page to show them that leaves can be different shapes and sizes. 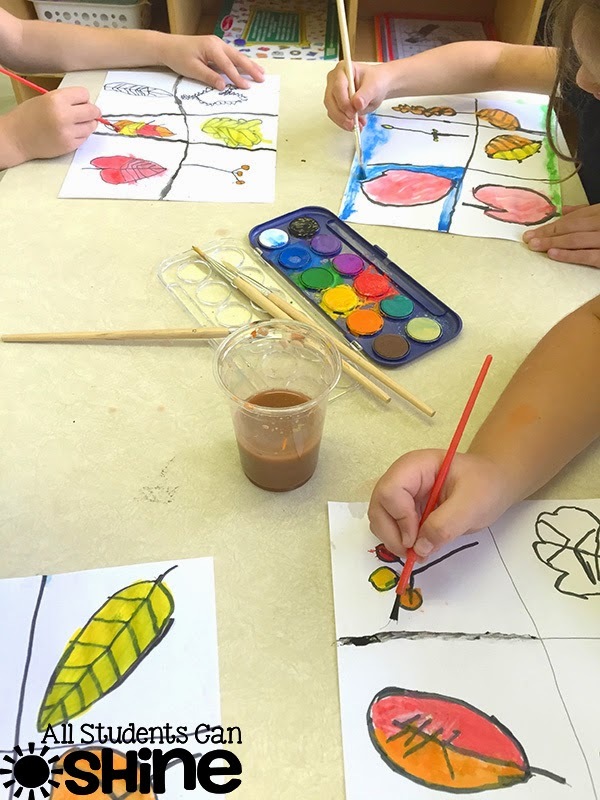 When we were happy with our "windows" and leaves, we traced them with a black marker. 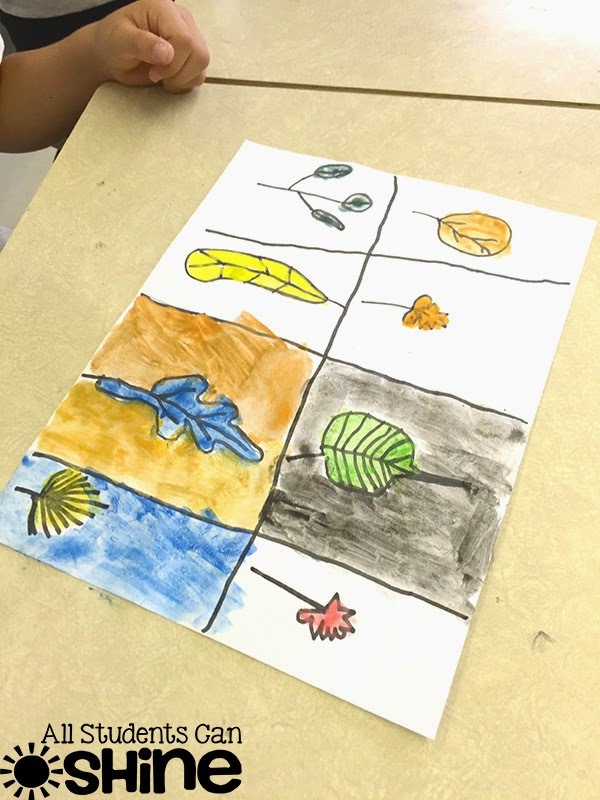 We talked about the difference between warm and cold colors. 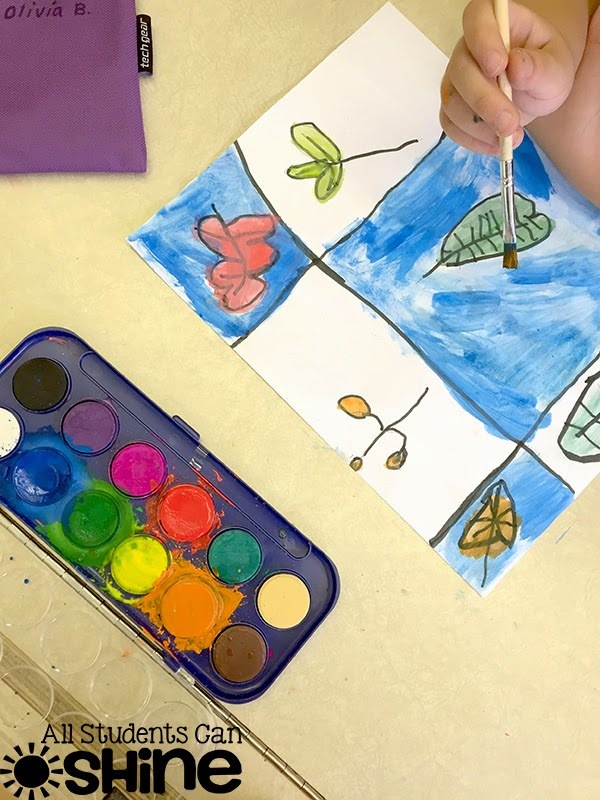 We decided to use warm colors for our leaves and cold colors for the sky. 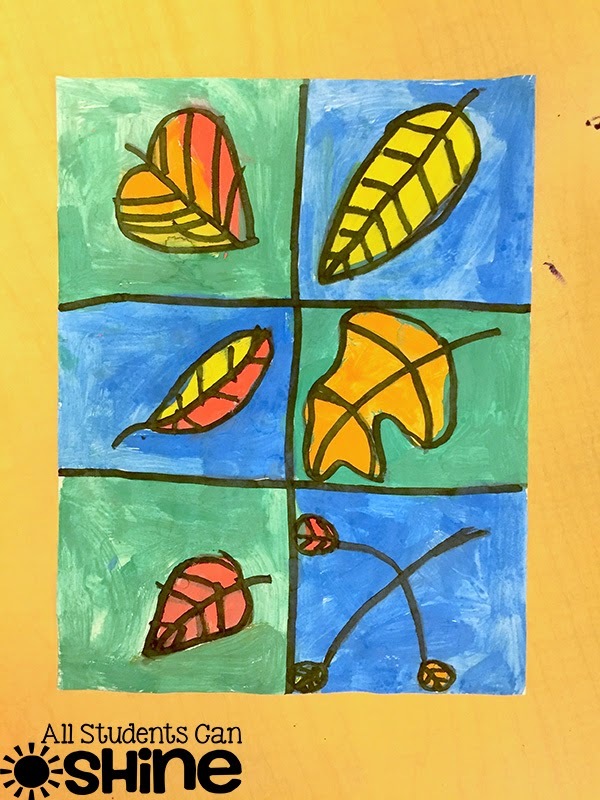 We used watercolor paint fill in our different leaves. 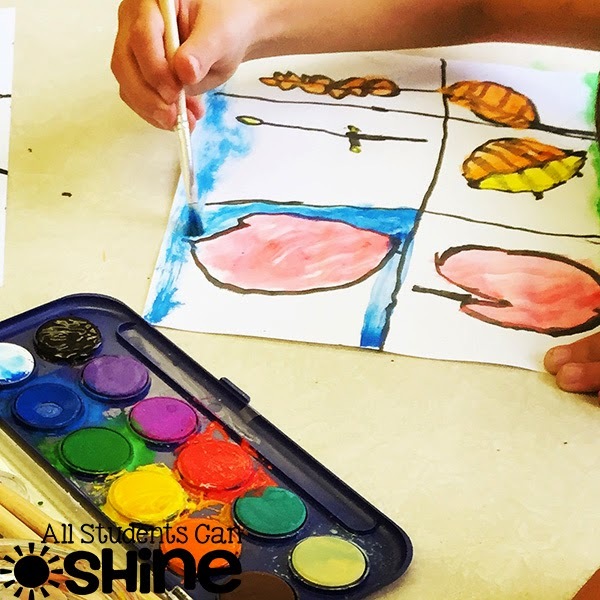 Look at our painters at work! Our paintings turned out to be so perfect! 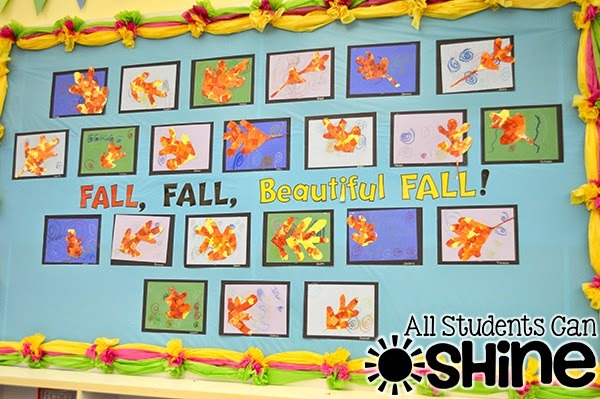 If you are looking for more Fall art ideas, you can read all about our collage project.